The Musical Theater Awards, created in 2007 with the aim of rewarding professionals in the sector in recognition of their work and to strengthen the music theater industry in Spain, have just announced the nominees finalists of what is already going to be The tenth edition and in which I am nominated as Best Actor Protagonist . First of all, I would like to thank you for nominating me for a finalist in the category Best Actor Protagonist for the musical I’ve been working with for the past year, Scaramouche by Dagoll Dagom . It is a great pleasure when they recognize your work and more when you have dedicated as much as is the case. Thank you very much! Secondly, I would like to congratulate all my company colleagues who are also nominated for their work in Scaramouche from different categories, including in Best Musical. 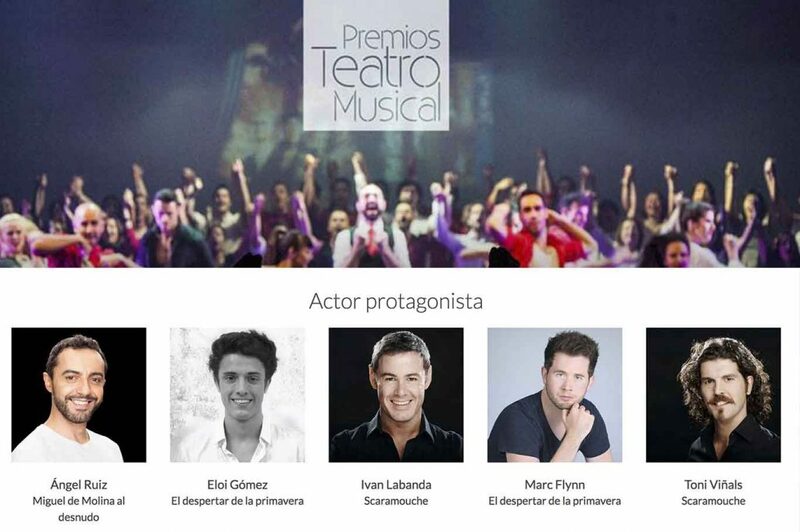 Thirdly, I would also like to congratulate all my colleagues in the musical El Petit Príncep, of which I am a part and which is also a finalist for Best Musical. And fourth and last, congratulate the rest of nominated professionals whom I admire and with whom I share the happiness of this professional recognition. Congratulations to all! The votes are already open but, in order to vote, it is necessary to prove your professionalism in the medium in the registration form that you will find on the same website of the Musical Theater Awards and that I leave you at the end of the news so that if in Your case you are part of the guild, you can enter to vote the different nominees of the tenth edition.